The Obama administration has established an alarmingly naïve and dangerous record on Arab-Israeli issues, leading me to worry about spectacular policy failures ahead. But it has initiated one innovative and positive policy deserving high praise. Instead of Israel making yet more unilateral concessions to the Palestinians, in late May Israeli prime minister Binyamin Netanyahu called to "bring Arab states into the circle of peace." U.S. special envoy George Mitchell and Israeli Defense Minister Ehud Barak picked up on this and developed plans to integrate those Arab states into the diplomatic process. In mid-July, U.S. Secretary of State Hillary Clinton asserted that "Arab states have a responsibility … to take steps to improve relations with Israel, and to prepare their publics to embrace peace and accept Israel's place in the region." In one such letter, sent on July 7 to King Mohammed VI of Morocco, Obama expressed his hope that Arab states will take steps to end Israel's "isolation" in the Middle East and that "Morocco will be a leader in bridging gaps between Israel and the Arab world." Examples of CBMs include Arab states opening trade office in Israel, allowing Israeli planes to traverse its airspace, issuing tourist visas to Israelis, and Arab officials meeting with Israeli leaders. This appeal found a mixed Arab reception. On the positive side, Bahrain's crown prince, Salman bin Hamad al-Khalifa, suggested that "All sides need to take simultaneous, good-faith action if peace is to have a chance" and Jordanian foreign minister Nasser Judeh committed his government "to creating the right atmosphere" and supporting the U.S. "vision." An unnamed Arab diplomat offered that "In return for a symbolic compromise on the settlements, some Arab states will be willing to pay with some symbolic gestures." Diplomatic smiles waned when Saudi king Abdullah "launched a tirade" at Barack Obama. In contrast, King Abdullah of Saudi Arabia rejected Obama's appeal for CBMs vis-à-vis Israel during a presidential visit in early June. 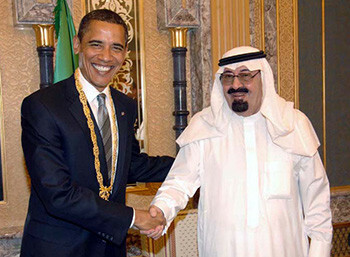 Rozen reports that the Saudi monarch "launched a tirade during Obama's long meeting in Riyadh." It went so badly that Saudi officials "later apologized to the U.S. president for the king's behavior." Likewise, Egypt's foreign minister Ahmed Aboul Gheit asked rhetorically, "Is normalization possible as long as the building in settlements continues? The answer is no, of course." Arab League chief Amr Moussa deemed it "impossible to speak of normalization when Israel rejects any significant measure." Negative responses notwithstanding, the involvement of the Arab states that can offer benefits to Israel should limit the harm inflicted by do-gooding diplomatic "peace processors." Almost two decades ago, in a Wall Street Journal article of June 1990, I called for including the states. I noted there a remarkable symmetry in which "Palestinians want from Israel what Israel wants from the Arab states—recognition and legitimacy. Thus, Palestinians seek concessions from Israel and Israel seeks concessions from the Arab states." I suggested yoking together the parallel frustrations that "Israel cannot get what it wants from the Arab states, and the Palestinians cannot get what they want from Israel." The U.S. government should, I proposed, "link concessions to Israel by the Arab states with Israeli concessions to the Palestinians." That is, when the Arab states give Israel something it wants, Israelis should then—and only then—be expected to give something in turn to the Palestinians." As an example, I proposed that when the Saudis end their economic boycott of Israel, Israelis in return increase Palestinian access to underground water on the West Bank. This balanced approach, I suggested, "places the burden of the initiative squarely on the Arab states—where it should be." After the long, sterile, and counterproductive detour of exclusively Israeli-Palestinian negotiations, it is gratifying to see an attempt finally to bring the Arab states into the negotiations. I still maintain that the Palestinians need be defeated before negotiations can usefully take place, but involving the Arab states improves the balance and reduces the potential for damage. Sep. 22, 2009 update: The formal Saudi response to the idea of mutual concessions comes from Adel bin Ahmed Al-Jubeir, the Saudi ambassador to Washington. He began by outlining the growth in Israeli "settlements" even as peace treaties with Egypt and Jordan were signed, some Arab states initiated low-level ties with Israel, and the Palestinians engaged in diiplomacy. Given the above history, it is reasonable to conclude that an incremental approach, or one built on temporary confidence-building measures or gestures, will not work. It is our firm view that resolution of this conflict does require outlining the final settlement at the outset, followed by prompt resumption of negotiations on all final-status issues -- borders, Jerusalem, water, security and refugees -- with a deadline set for their early conclusion. Sep. 26, 2009 update: The Saudi rejection notwithstanding, Hillary Clinton keeps pushing the Arabs for normalization with Israel. afterward that the talks were "extremely productive." We don't want to wait for the perfect package. It's time to start negotiations now. We hope that the Arabs would find ways to demonstrate to the Israeli public that Israel will be an accepted, normalized part of the region, We would hope that the Arabs would find ways to support President Abbas and his team as they go into negotiations.